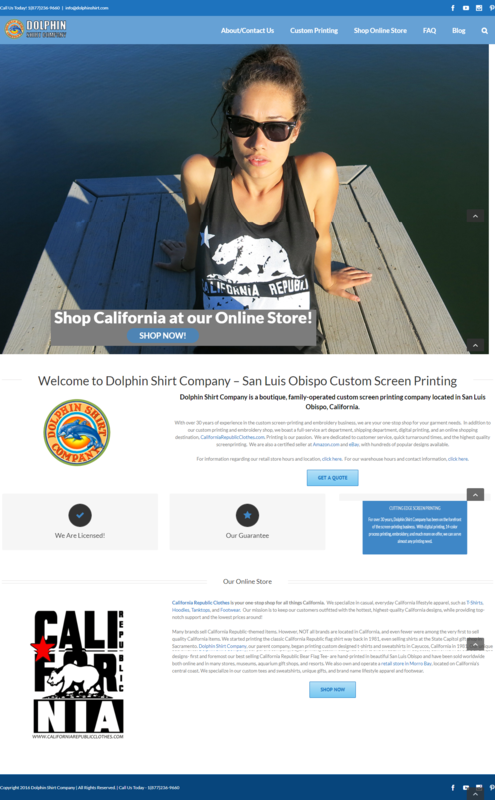 We at Aroopa Inc assisted DolphinShirt.com building an overlapping image tool that helps in creating 1000’s images with overlapped image in few clicks. Saapni.com is an ecommerce retailer specializing in carrying apparels and electronics accessories. 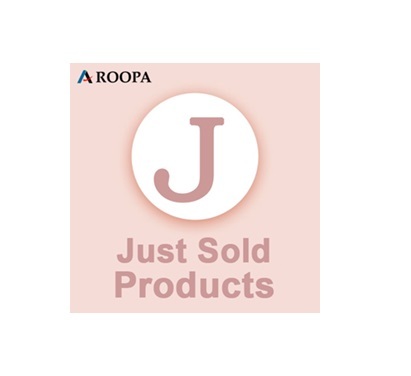 Aroopa Inc team assisted in designing their website, creating the tools required to streamline their business processes and take care of their day to day activities. 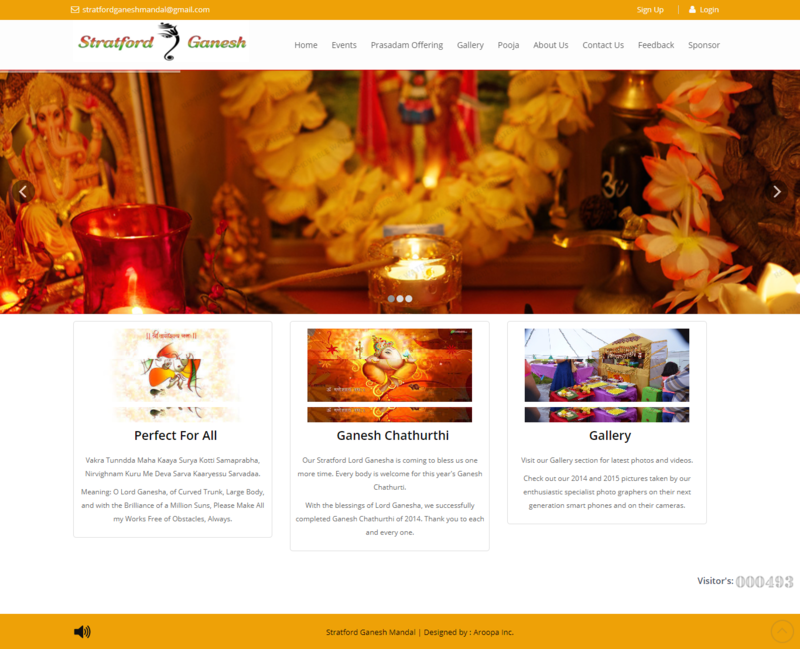 StratfordGaneshMandal.org is a community activity. 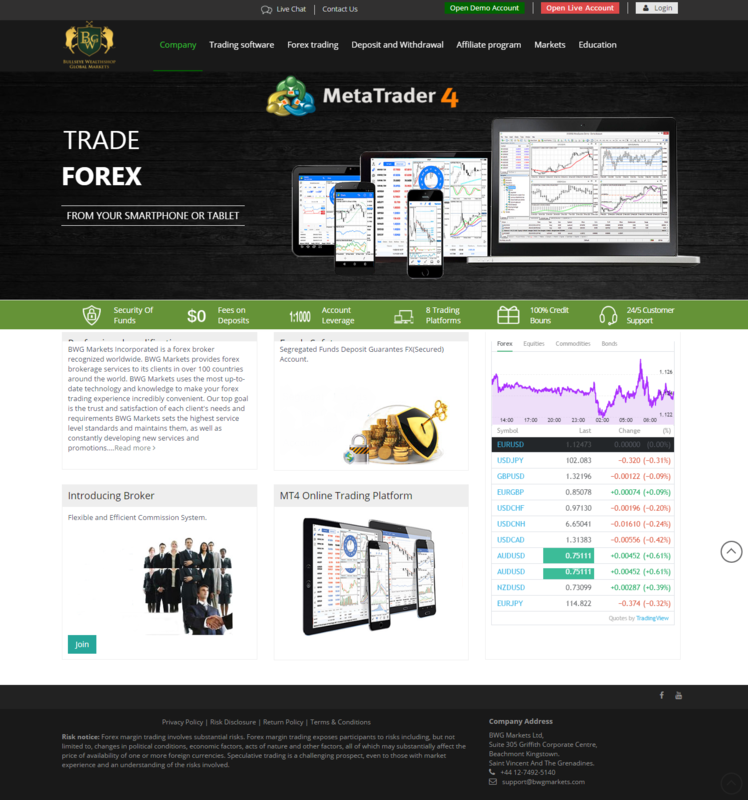 Aroopa Inc is proud to design and sponsor this site. 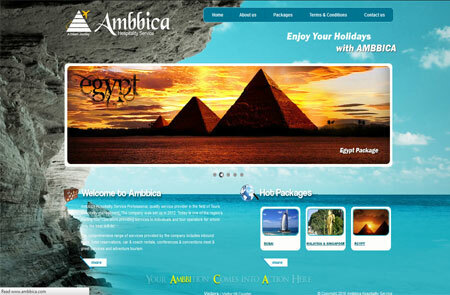 Ambbica Hospitality Service Professional, quality service provider in the field of Tours Hospitality management. 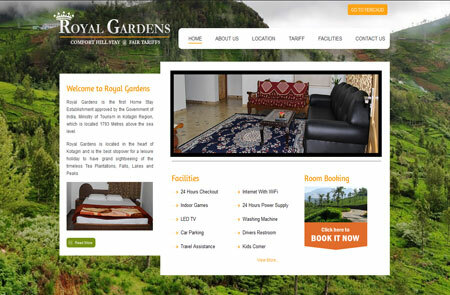 The company was set up in 2012 and today is one of the region leading Tour Operators providing services to individuals and tour operators for whom only the best will do. 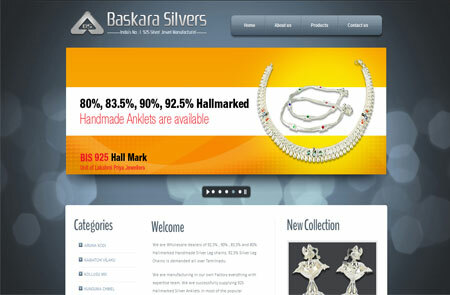 Baskara Silvers is a certified organisation of 925 Silver Anklets Manufacturer which strictly implements the ” TERMS AND CONDITIONS ” of Bureau of Indian Standards (BIS).We have emerged as one of the top most trusted 925 Wholesale Silver Jewellery supplier across Tamilnadu where Tirupur being the initiative. 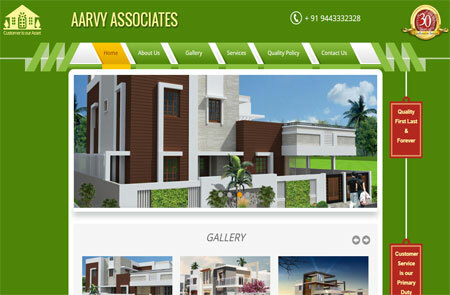 Aarvy Associates is one of the renowned service providers engaged in Design & Project Management of Residential, Commercial & Industrial Buildings and Valuation of all types of land, Buildings, Plant & Machinery. 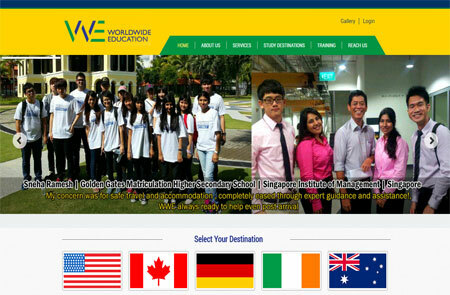 Worldwide Education was the first official overseas educational consultancy to give LIVE programs on all 6 regional TV channels in 4 districts in the year 2000 for guidance on overseas education reaching out to all students and parents giving a full fledged information packed sessions in tamil and english.